This was a Modeling and rendering/scene creation study done entirely using Rhinoceros for the Model and Rendered in Keyshot. 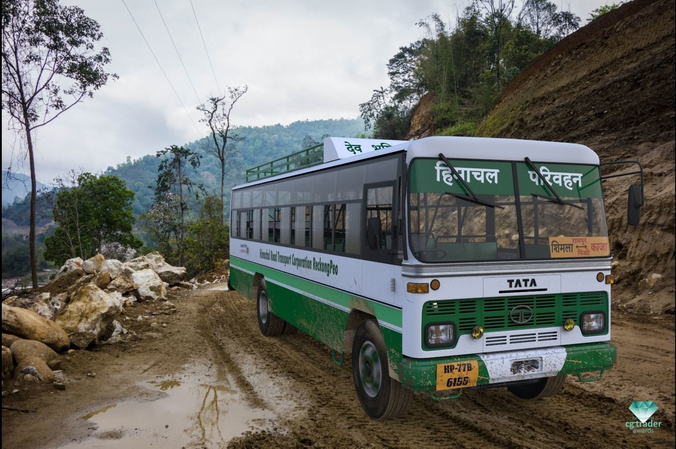 It was inspired by the brave, flawless drivers and rugged buses of the Himachal Road Transport Corporation (HRTC). The goal was to achieve as realistic a render as possible and I'm still working on pushing this further ;) ! PS - no 'inbuilt' textures NURBS model; may cause issues within Subdivision/parametric model tools. Extra formats available for free on request. Chalti hai gadi to udti hai dhul. Jalte hai dushnan to khilte hai ful.